This post is sponsored by the Tart Cherry Marketing Institute. All opinions are my own. Oh my gosh, how is it already halfway through February?! Ok, more than halfway, but you know what I mean – I’m having a bit of calendar shock, forgive me. It’s as if Valentine’s Day flew by and now everyone is chatting about St. Patrick’s Day. Wait, slow down! I just need it to be February for a little bit longer, ok? Did you know that February is actually National Cherry Month? Yes, indeedy, this whole month is dedicated to the awesomeness that is cherries. You may remember from my Tart Cherry Chutney Toast that I’ve partnered with the Cherry Marketing Institute to share seasonal recipes featuring my very favorite superfood: tart cherries. Well, in celebration of everything tart cherries, I’ve put together a little video that highlights five different ways that you can incorporate tart cherries into your daily routine. These recipe ideas cover breakfast, lunch, snacking, post-workout, and bedtime. Each recipe idea is so simple that they make incorporating tart cherries into your daily routine completely effortless. Now, you might be wondering why you should be adding tart cherries into your diet. Well, tart cherries are rich in antioxidants and have great recovery properties so they fit in perfectly any time of the day, including a post workout tart cherry smoothie. Since discovering the benefit of tart cherries in post-workout routines, leg days have become much less daunting! Tart cherries are also full of melatonin, a sleep-regulating hormone. 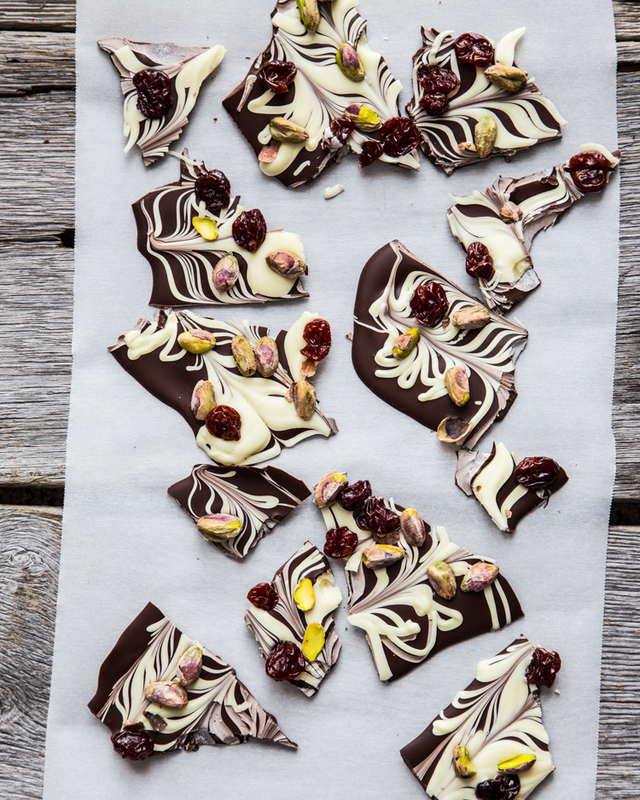 My Tart Cherry Pistachio Bark is the perfect bedtime treat. During the day, use tart cherry concentrate to wake up plain Greek yogurt at breakfast and infuse your standard vinaigrette with tart cherry juice in your lunch time salad. With dried, frozen and juice forms available year round, you don’t need to wait to enjoy tart cherries. 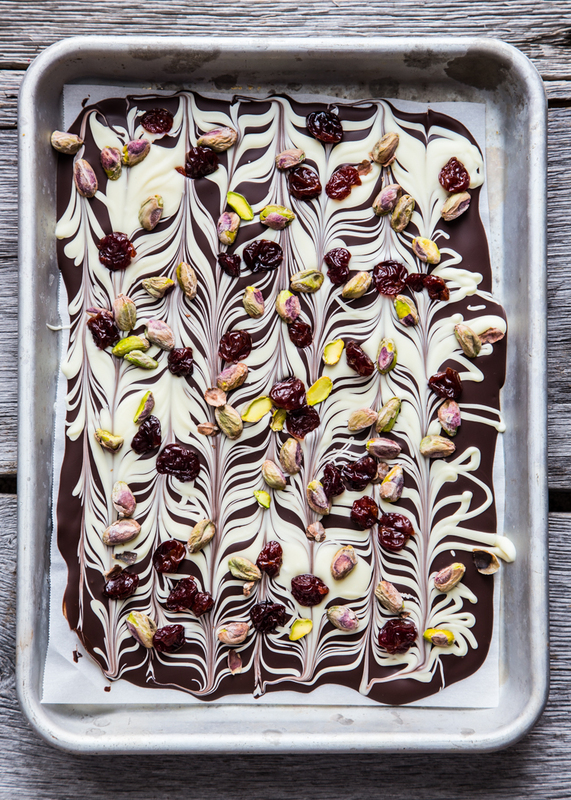 I have been loving nibbling on a bit of this tart cherry pistachio bark at bedtime while catching up on my shows. My DVR is always full and the idea of a perfect night includes a few pieces of this bark, a cup of hot tea and back episodes of HGTV renovation shows. Yup, pretty much my perfect evening. Also, did you see in the video how easy this bark is to make? You guys know my love of a fuss-free dessert and this bark is completely free of fuss, but packed full of flavor. 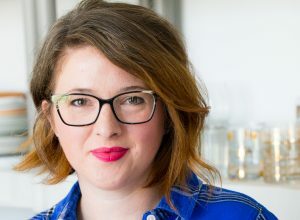 I’m proudly partnering with the Tart Cherry Marketing Institute to bring you delicious, seasonal recipes featuring tart cherries. This post is part of that partnership. Thank you for supporting the brands that help support Jelly Toast. Spread dark chocolate out on prepared sheet pan. Drizzle white chocolate over dark chocolate.Use a butter knife and drag through drizzles to make a pretty pattern. Sprinkle with pistachios and tart cherries. Chill until hardened. Break into small pieces and serve. Candy melting wafers can be used in place of both the dark and white chocolate. Use dark and white candy wafers, eliminate coconut oil and follow package directions for melting. Bark should be stored in an airtight container in a cool place. Love this! 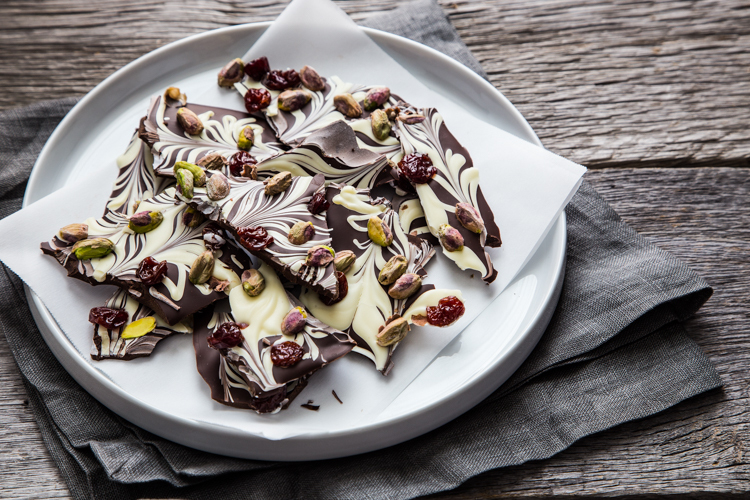 Chocolate bark is totally underrated, it can be such an elegant dessert. These looks so delicious and so so pretty! Thank you so much, MB! This is so beautiful Emily! How pretty is this bark? I bet the cherries add a nice little punch of flavor. Pinned for future baking! You’re so right, Lynn! The sweet tart cherries and the salty pistachios are wonderful with the chocolate. Thanks so much for stopping by! I love these color in these! It really makes them pop. It would make a great gift! That’s a great idea, Kari! A little package full of this bark would brighten anyone’s day. Thanks for stopping by! Thank you so much, Lokness! Those swirls are just divine! Gorgeous colors!! The swirls are amazing! Thanks, Eden! The swirls look so impressive but are so easy it’s almost funny <3 Thanks for stopping by!